The Bayanihan (pronounced as buy-uh-nee-hun) is a Filipino custom derived from a Filipino word “bayan”, which means nation, town or community. The term bayanihan itself literally means “being in a bayan”, which refers to the spirit of communal unity, work and cooperation to achieve a particular goal. 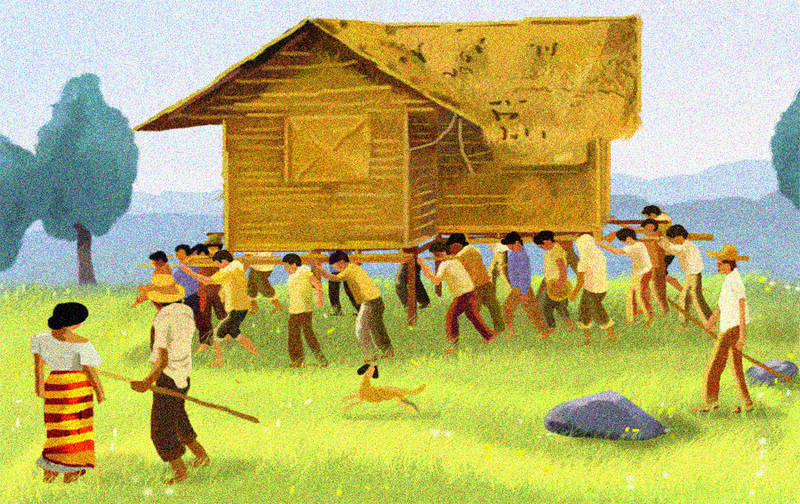 The concept of Bayanihan is traced back to in a country’s tradition which can be observed in rural areas, wherein the town’s people were asked especially the men to lend a hand to a family who will move into a new place. The relocation does not only involves moving the family’s personal belongings but most importantly it concerns the transfer of the family’s entire house to a new location. A traditional Filipino house (Bahay Kubo) is made of indigenous materials such as bamboo and nipa/anahaw leaves. In order for the volunteers to carry the house, bamboo poles are tied length-wise and cross-wise and go under the house. Approximately, it will take about 15-20 volunteers to carry a house and together they’ll move in unison heading to the family’s new place. As a token of gratitude, the family serves food to the volunteers at the end of the move. The Bayanihan spirit shows Filipinos’ concept of helping one another most especially in times of need without expecting anything in return. Filipinos strongly believe in helping their “kababayans (fellow countrymen)” in any possible way they can do to extend a helping hand.It is a beautiful Filipino mentality of helping one another. 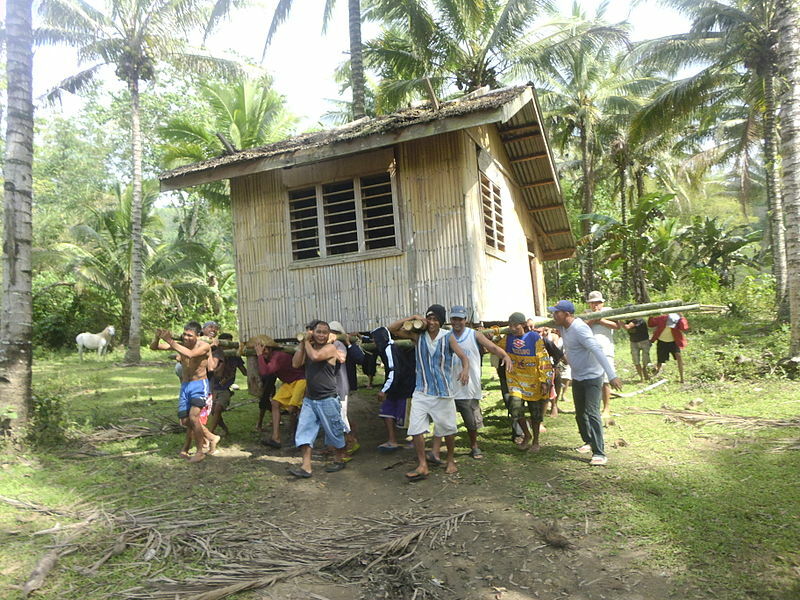 The Bayanihan spirit is still alive, there are still people in rural areas that transfer their house into another place and people still help. Furthermore, the bayanihan spirit lives on among Filipinos even in modern days and has been demonstrated in many forms, such as when natural calamities or disasters strike. Filipinos will go out of their way to help their kababayans in need. The Bayanihan spirit; one of the many beautiful things that Filipinos own and can be proud of. If enjoyed reading this, make sure to subscribe to my mailing list to read my latest blog straight from your inbox. Or, follow me on Facebook or Instagram to know the latest scoop from The Mixed Culture. For any questions, click on the “contact us” on top to email me or comment below. This is a good contribution that I can share during my morning talk with my colleagues. Pingback: BGC Passionfest 2016 – Stay Strong, Daily Warrior!